This post will give several practical ways in which one can increase the lifespan and reliability of their vehicle. A vehicle is one of the most expensive purchases that most people will ever make. The initial outlay of cash for the vehicle is hardly the costly venture though; it is the monthly insurance, gas (Click here for tips on how to increase fuel economy), maintenance and repair costs that can start to add up over the lifetime of a vehicle. Read on to learn more about having a more reliable vehicle. Vehicles are built to last a long time. Warranties are approaching 160,000km, but many drivers look to drive their vehicle well into the 200k range, and some even further. Reliability issues will likely not start showing up until later in the vehicle's life - past the warranty period. Proper maintenance and ownership starts from kilometer 1 however. Driving and maintenance habits that start early into the vehicle's life will have lasting effects at the end of its life. This will allow a car to be driven for thousands more kilometers. Always keep tires topped up and in good working order. Do not use winter tires in the summer, and vice versa. A good set of tires versus a cheap set can also increase fuel economy, reduce driving noise and decrease braking distances. Sometimes it's worth the extra money for a better set of tires. The benefits per kilometer when driving with good tires quickly adds up. 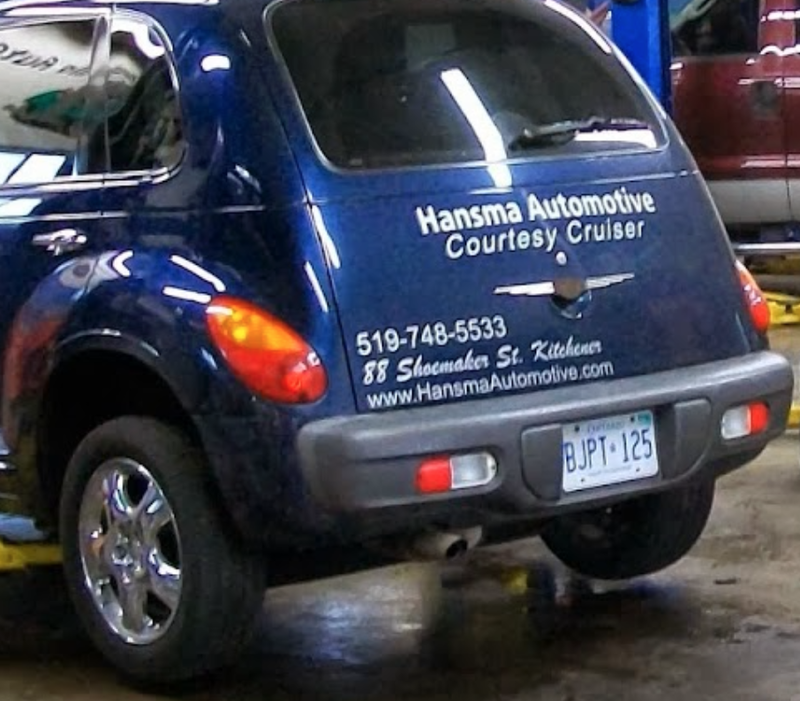 Hansma has created pages related to both vehicle fluids and changing your own oil. Keeping fluid levels topped up is essential for proper vehicle health. Failure to do so could potentially destroy your engine in moments ( in the case of running out of oil ). Some of the parts on your vehicle simply will not last forever. Parts such as brakes, shocks, the timing belt, as well as several other parts will need to be replaced on a schedule. Refer to your owners manual about recommended service intervals. Failure to keep parts in good working condition not only reduces efficiency, but is also extremely dangerous. This might seem like a completely aesthetic option, but keeping your car clean - both inside and out - is a great way to notice potential problems such as rust, cracks and other defects. Catching a rust problem when it is the size of a penny is much easier to deal with then waiting till it's covered the entire underside of your vehicle. Short trips (ten minutes or less) can be hard on an engine, as it does not give sufficient time for any moisture in the engine to evaporate - as such it can rust engine parts. A great way to avoid this, and also allow your car to drive more efficiently is to let your car 'warm up' for a few minutes prior to a drive. Warming the engine up allows for all the fluids to disperse throughout the chambers, as well as get to the right physical state (if it is cold out some fluids may be thicker to begin). Warming the car up for a few minutes uses almost no fuel, but can save a good amount of fuel when driving since it means your engine will work much less during the first few minutes of the actual commute. Posted on July 10, 2014 by Hansma Automotive..